If you’re new to Five Minute Friday, you can learn more about how the link-up works by clicking here. What comes to mind when you think of the word, DISCOVER? 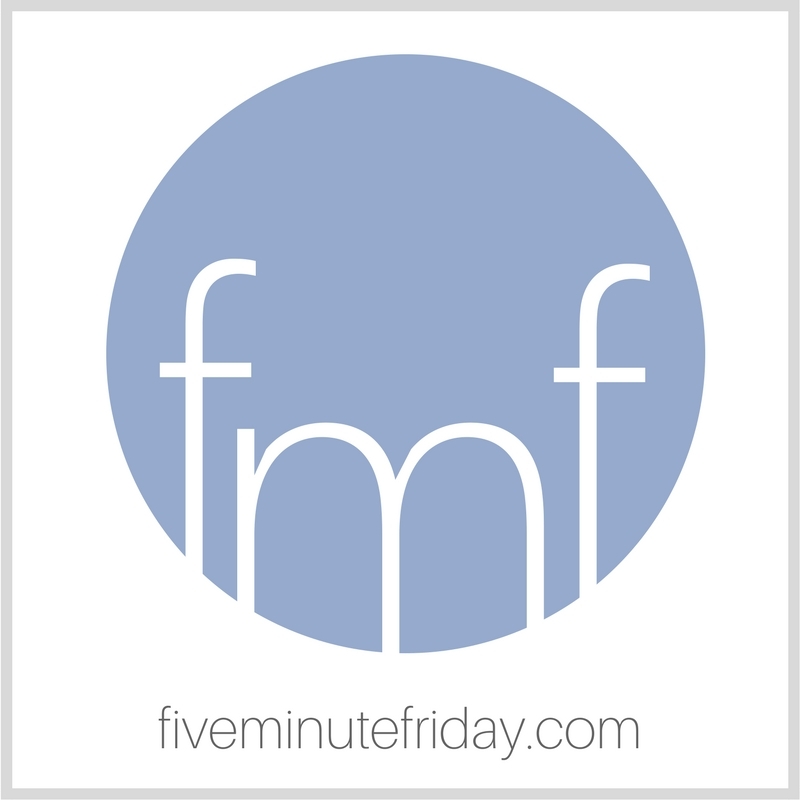 Share with us in five minutes or less @5minutefriday! I love watching kids discover new things. It doesn’t matter if they’re a few months old discovering their own toes for the first time, or in double digits discovering how to play trumpet — there’s a certain sense of wonder that accompanies discovery. Why (and how) do we lose this sense of wonder and discovery as we become adults? As writers, let’s commit to claiming it back. Yes, it will feel unnatural at first. Yes, it will be awkward and a drag since we’re so out of practice. But let’s commit to slowing down, taking in a deep breath, absorbing our surroundings. Let’s take time to observe. Slow down. Take a deep breath. Absorb your surroundings. Take time to observe. Careful observation is such a vital aspect of the writing life, and one that I think often gets pushed aside in today’s hustle. When schedules burst at the seams, who has time to pay attention? We’re living our lives in fast motion and failing to drink in the beauty of the moment. Find a kid — maybe in your own house, maybe at church, maybe across the street or at a park — and watch them discover. Watch them feel the sand between their toes, listen to them gargle water just to laugh at the sound when they’re supposed to be sitting quietly at the dinner table. Watch them, learn, and do likewise. Join us with your own five minutes of free writing by linking up your post below! Thanks for the reminder to slow down. observe. take time to remember the wonder of learning something new. Find a child to be my example. Yes. Thank you! My daughter and I make a point to take time to smell the roses (or whatever other flower we happen to pass by). Even though she’s a senior in college, we still text each other photos of flowers we’ve smelled. Ahhh, Kate. Beautiful post. And yes, that whole being too busy thing. It steals the opportunities to discover. I appreciate your encouragement to make time to discover, and to hang out with those who are best at it! oh, I know eh? Life goes by and we don’t take time to discover the lovely moments within it. Kate, I am finding that sometimes to fully live, you have to drink in the pain, and embrace the horror. I “discover” using photography. When walking in the woods or along a river, it heightens my awareness when looking for that amazing sight, that colorful bug, the way light plays upon a leaf… that’s what keeps my sense of observation keen. Another way to discover is to get close, like on your hands and knees. Look at the smallest details you can find on a flower, smell it, feel the roughness of the bark on a tree, or maybe even listen to the music of the softest gurgle in a tiny brook weaving through the glen. Use all your senses. Great words! Slowing down – step number one! but i need to learn the lessons again with my husband…in different ways. our posts today have some parallels. Your encouragement here reminds me of an exercise my journalism professor had us do. He set us outside for 20 minutes. We could sit, walk around, stand on our heads, whatever. We just had to be alone and we weren’t allowed to talk. When we went back inside, he asked us to describe what we saw and heard, using as few words as possible. He was teaching us to show rather than tell. I’ve never forgotten the experience. This is it here, Kate. It’s in the slowing down that we can see what God has been revealing. (His beauty, His love for us, His care, just to name 3 lol). When we slow down, we don’t miss out on what is happening, what matters. I think we can tend to suffer more from FOMO (fear of missing out) having to do with what the world is saying and promoting more than, “Are we missing out on something from God?” Reversing it.